Helium Music Manager is a music manager that can rip, tag, play, browse, search, rename, burn and synchronize your music with a portable player. You can take control of your music collection. Stop spending time looking for files on your computer or hunting through CDs, vinyl records and tapes – instead, simply enjoy and explore your music! Helium Music Manager can replace your ripper, player, tag editor and other audio related software. 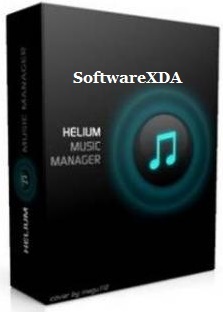 Helium Music Manager is a music tagger, renamer, cataloguer, browser, playlist manager and report creator. It can catalogue, edit and play the most common music formats (MP3, Ogg, WMA, iTunes M4A, FLAC, APE and MPC) as well as standard Audio CDs.